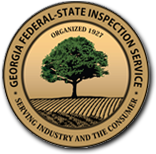 Most Technical Support needs are related to use of software that Georgia Federal-State Inspection Service produces, or related to computer systems that are using the software. Although our IT Department is fully staffed during normal working hours, we also provide emergency support on a 24/7 basis. Supervisors are assigned to districts throughout our state. Inspectors should route their emergency needs through their District Supervisor. If further assistance is needed, they may then be redirected to the IT Director and staff.